Hey there, Top Dog Dies fans! 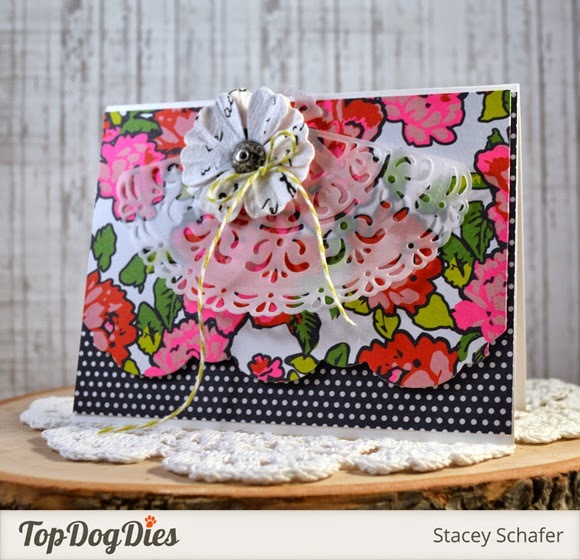 Today, I'm sharing a couple of the new Top Dog Dies Signature Dies..they make glorious card fronts! I trimmed about a half of an inch of the top portion of the die cut to allow a peek-a-boo effect of the paper layer underneath. 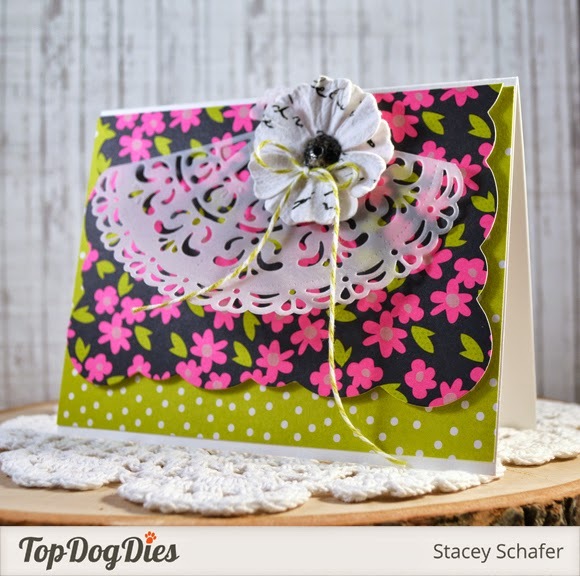 The sweet scallops all around three sides of this die give it such a sweetness!